get into the game with an incredible performance The new Razer Blade 15 gaming laptop is built with a Six-Core 8th Gen Intel® Core™ i7 processor and NVIDIA® GeForce RTX 2070 graphics with Max-Q Design, for an astonishing gaming performance. The superior Full HD, 1920 x 1080 display, features edge-to-edge 4.9 mm thin bezels, where gaming is super seamless all inside an ultra-thin chassis. With dual-channel memory and 512GB NVMe SSD storage they offer users maximum reliability. The per-key backlit keyboard features Razer Chroma software that allows you to change your keyboard keys separately with RGB lighting. You can even connect up to three external displays for an extensive workstation through Thunderbolt™ 3, Mini DisplayPort, and HDMI. superior PERFORMANCE TO CONQUER ANY TASK The new 15” Razer Blade is powered by an incredible 8th Gen Intel® Core™ i7 six core processor and the new NVIDIA® GeForce RTX 20 Series graphics with innovative Max-Q design. Get full control while simultaneously playing and streaming, or exhausting the latest creative apps to edit videos. 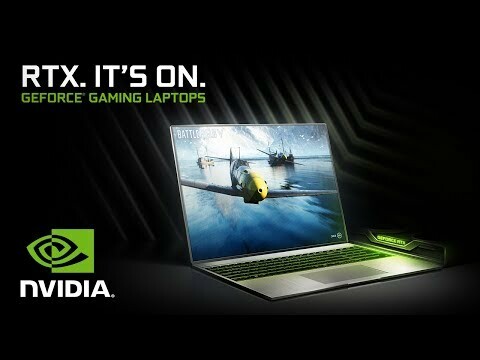 incredible super-smooth gaming The new Razer Blade 15 laptops allow you to enjoy games like never before with a stunning Full HD, 1920 x 1080 display with up to 144Hz refresh rates this means on-screen action is extremely smooth and fluid. With 100% sRGB support, colours are guaranteed to be precisely reproduced. Despite being as thin as 0.70”, Razer Blade’s 15.6" screen features edge-to-edge gaming consuming nearly 85% of the visible display area, flanked by class-leading 4.9 mm thin bezels. More Memory. More Storage. The Razer Blade 15 comes equipped with 16GB Dual-channel DDR4 RAM, this gaming laptop is ready to do more and store more. The new Razer Blade can be customized to meet a range of user needs as it features expandable memory to 64GB for amazingly smooth multitasking, and includes a 512GB PCIe 3.0 x4 NVMe M.2 SSD for super-fast data access, utilizing a pure SSD solution in a thinner chassis which can also be upgraded.